Oxfam’s team is tirelessly working in the worst hit districts to provide urgent assistance for flood survivors to cope. The pressing need at this moment is to provide Food, Clean drinking water, Hygiene kits, Shelter to protect people from extreme weather and other Non-Food items like tarpaulins, blankets, ground sheets, and a specially designed Oxfam bucket that prevents contamination of water, mugs, mosquito nets and water purification tablets among other relief items. We have distributed food items to 246 Households in the worst affected district, Lakhimpur and our stocks are already on the way to Karimganj district. The current flood situation in Assam is critical and we need your help. 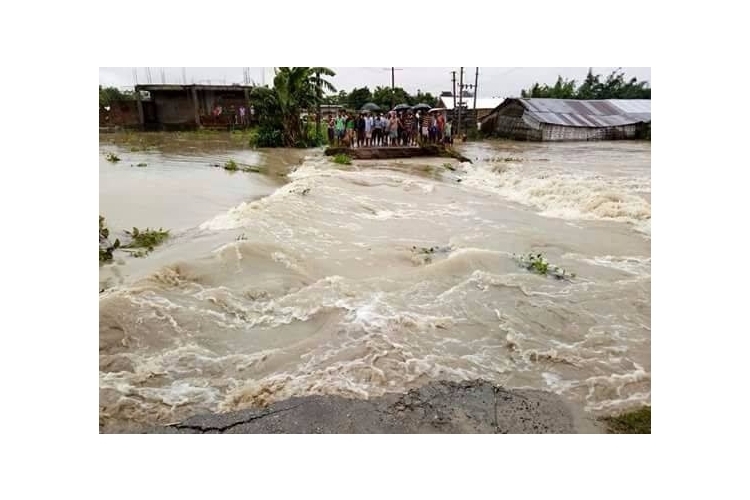 Incessant monsoon rains have caused flooding in seven districts of Assam, namely Lakhimpur, Jorhat, Golaghat, Cachar, Dhemaji, Biswanath and Karimganj. Two teams from Oxfam India have reached the worst hit districts—Lakhimpur and Karimgunj for a rapid assessment of the situation through consultations with the government officials, partners and community members. We target to respond to 4500 households in the two target districts through distribution of contingency kits in collaboration with Sphere India, state and district administrations and other partner organisations. Your share could be as good as a donation for Oxfam India!